We are excited to officially announce that JGH has officially switched over to a combination of a free and a paid program. 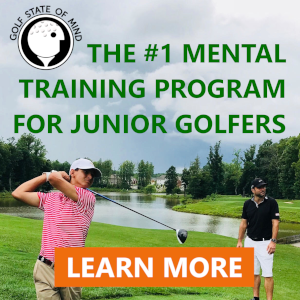 Within JGH Premium the junior golfer or parent will be able to access all of the phenomenal features you have had an opportunity to explore over the past 12 months PLUS, three brand new ways to best represent the athlete to their future college coach! We believe these new features will offer the best opportunity for junior golfers to navigate the junior golf world plus support him/her on the road to college golf. We are very excited about these new features and hope they truly help on the road to college golf! We will be releasing these features over the course of the next month and will keep you updated when they are added to the site. Stay tuned! The JGH free platform still offers junior golfers the ability to view and edit their profile, basic notifications and the ability to share their profile with coaches. Their profile will remain searchable by college golf coaches. We used our free trial period to focus on what the junior golfer really needed from the recruiting process. We want to thank every golfer, parent, and college coach who gave us valuable feedback. The Junior Golf Hub would not exist without the collaboration everyone has offered us. The Junior Golf Hub was created to connect junior golfers to the best golf program and school for them, so they have the ability to achieve everything they want to in this world. If you have questions on the transition either send us an e-mail at admin@juniorgolfhub.com or give us a call on the ‘Hub phone’ at 1-888-209-7410 during our normal business hours (M – F, 8:30 – 5:30). We look forward to seeing everyone on the Hub!